Mood. Cupcake and a bad book. I found this doll in a yard sale, and bought it for fifty cents. If you squeeze her, air comes out of a tiny hole at the top of her head and she squeaks. She’s very old and very beautiful, and it’s something about the fairytaleness of her existence that I love. Or perhaps it’s the rabbit, or her patent leather shoes, or her serrated collar. Her eyes are excited about life, and also innocently blank. She makes me think about Alice in Wonderland, my namesake, and therefore of rocking-horse flies and wormholes to the Underland. I see blue streaks on her dress and running down her back, and I think part of her used to be blue. She stands on my desk, leaning against the wall, heels on a tray full of seashells, watching me as I work. She is lost. She is found. "El aliento de los ahogados" ("The Breath of the Drowned") presenta una historia aterrorizante, oscura, escalofriante y compleja. ¡Ya está a la venta! In the 1939 film “The Wizard of Oz,” the Wicked Witch of the West has succeeded beyond her wildest dreams—she has a castle and everything. She even has her own damned horde of flying monkeys. She holds dominion over her dark empire. As viewed through the lens of 1930s male-dominated Hollywood, the Wicked Witch of the West—played with scene-stealing panache by Margaret Hamilton—is pure green-skinned evil. She brandishes a broomstick like a broadsword, and the thing she cherishes above all else is her “beautiful wickedness”—in other words, her ambition, verve and drive. Meanwhile, on the other side of the rainbow, Dorothy longs for a world where she can express herself more freely than the black-and-white society she’s trapped in, where men can succeed and women cannot. Dorothy is plagued by self-doubt. All roads in her small Kansas town lead nowhere. Her last name is Gale, but she’s far from gale force. Instead, she sings songs about soaring beyond the clouds like the birds do. She wants to break free but doesn’t know how. Back in the 1930s, women weren’t supposed to want freedom. They were supposed to stay at home, rear their children and cook things like smothered cabbage and mashed potato cakes. Women who wanted more than that were considered heretics or worse—they were wicked. So, what happens when Dorothy’s dreams collide with the ambitions of the Wicked Witch of the West? First, her house lands on the witch’s twisted sister from East Oz, killing her instantly. Then Dorothy gets the ruby slippers. But these aren’t any ordinary shoes. C’mon, look at these things—they come with their own lightning. However, Dorothy didn’t choose these shoes. Glinda, the supposedly Good Witch, forced them on her, which immediately put a target on our hero’s back. And from that point on, “The Wizard of Oz,” is about two women fighting over a pair of shoes. Dorothy is hailed a hero in the Land of Oz. Ding dong, the witch is dead! But it’s a hollow victory. Because when Dorothy taps her heels together, as instructed, she doesn’t wish for “girl power.” She doesn’t want rainbows anymore. Instead she asks to return to her colorless world, where one assumes she won’t go looking for liberation, equality or self-fulfillment. So what’s the lesson here? The lion found his courage. The scarecrow found his heart. The tin man found his nerve. The Wicked Witch found her doom, and Dorothy found out that there’s no place like the kitchen. Things have changed dramatically since 1939. We don’t need glittering shoes to find our way home. We don’t need good witches and bad witches. We don’t need magic wands. The curtain has fallen, and we can see the small man behind the smoke and mirrors. We’ve found our courage. We’ve found our heart. We’ve found our nerve. We’ve found our beautiful wickedness. 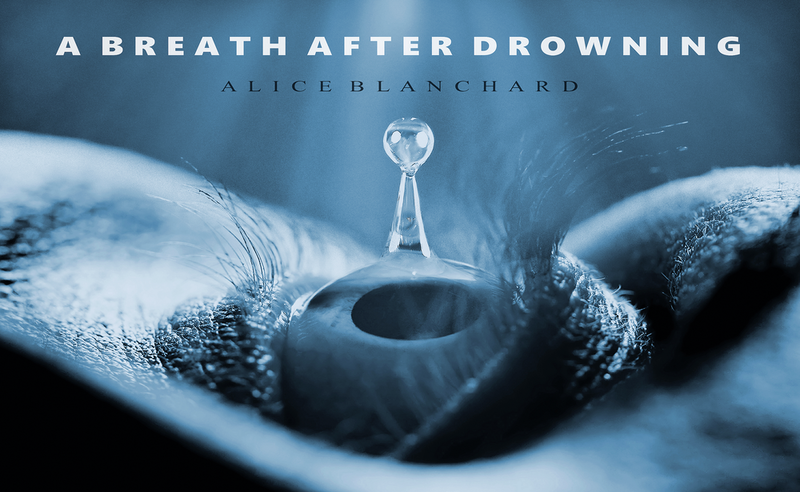 Bio: Alice Blanchard’s new psychological thriller “A Breath After Drowning” (Titan Books) is out now. My current favorite authors are Lorrie Moore, Denis Johnson, Blake Crouch, JD Salinger, Flannery O’Connor, Stephen King, Truman Capote, Gillian Flynn, Jack Kerouac, Joyce Carol Oates, Edith Wharton, Cormac McCarthy, Dennis Lehane, John Fante, Carson McCullers, Haruki Murakami, Thomas Harris, Caroline Kepnes, Raymond Carver, Vladimir Nabakov, and Tim O'Brien, to name a few. “I don’t pretend to understand you girls.” Lily tipped her face skyward and blinked as eddying, dizzying snowflakes caught on her eyelashes. She looked like a child with her face held like that. “I feel bad about it now,” Daisy said.